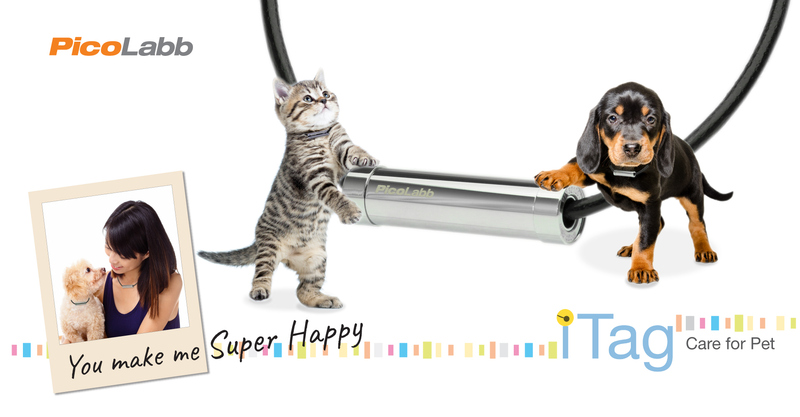 With Pico Technology, iTag can effectively improve the blood and lymphatic microcirculation and enhance the physical strength of the pet. The body’s innate healing potential will be maximized to boost body recovery and ultimately promote health. iTag is suitable for pets of all ages, especially senior pets. Nowadays, cats and dogs are the adorable pets in their family. Pet lovers even treat them like their own kids, providing them with good diet and high quality of life. But outdoor exercises are often neglected. iTag provides new breaking ground for pet care. It improves the body microcirculation of cats and dogs, enhances metabolism and achieves the efficacy of daily care. The most common illness in senior cats and dogs is arthritis. As cats and dogs stand or walk, the cartilage in the knee is under great pressure and the condition deteriorates as time goes by. iTag helps improve the health of cats and dogs by enhancing the blood microcirculation and alleviating the discomfort caused by arthritis. Cats and dogs have faster growth rate than people. The senior pets develop various pains or illnesses due to aging, injury, blocked meridian flow or impeded microcirculation. Owners always wish their loving pets to live happily and stay as healthy as they do. iTag promotes metabolism and the body’s innate healing potential of the pets will be maximized for better health. Owners often feel concerned when their pet suffers from minor illness. iTag effectively promotes well-being of their pets and becomes highly praised and loved by owners and pets. Cats and dogs become more sensitive under long-term effect of the electromagnetic waves. Easily tired with feeling of unease. Disrupt the endocrine system resulting in poor health. Do not ignore the effects of electromagnetic waves. iTag enhances the immunity and improves the body’s innate healing potential of the pet and ultimately maintain overall health. iTag is enabled by Pico Technology.